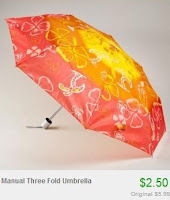 Head over to Totsy to score umbrellas for as low as $2.50! There are tons of different umbrellas to choose from. 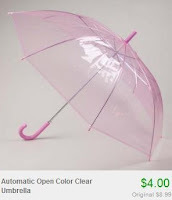 I bought the pink umbrella pictured above a few months ago the last time this sale was around and I LOVE it!